Stephen John Owen was born in Caaernarfon in 1959 and now lives in the village of Groeslon. A self-taught artist, his work is strongly influenced by the scenery that has surrounded him all his life. 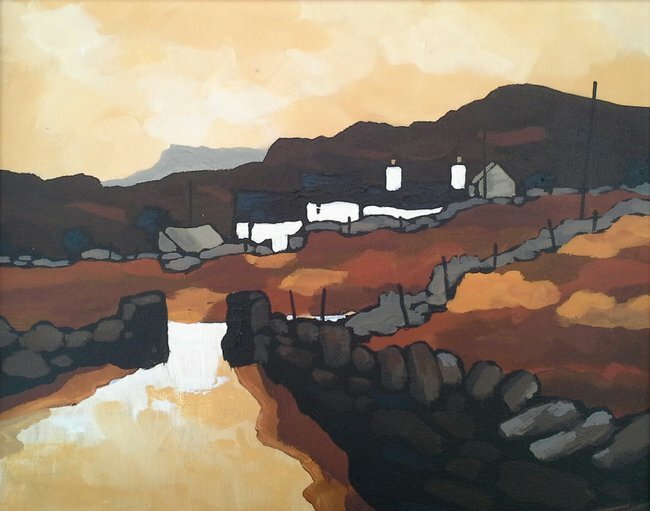 As a young man he was encouraged by his art teacher, the respected Welsh painter William Selwyn, and he went on to develop a unique, expressive style whose bold strokes and deep, earthy colours perfectly capture the rugged grandeur of North Wales. From villages and farms to old quarrymen’s cottages, he paints with deep lyricism and passion. Partly brought up by his grandparents in Anglesey he was inspired by his aunt to paint and he still uses her palette knife and brushes to keep the flare and romance that she introduced to him through painting. 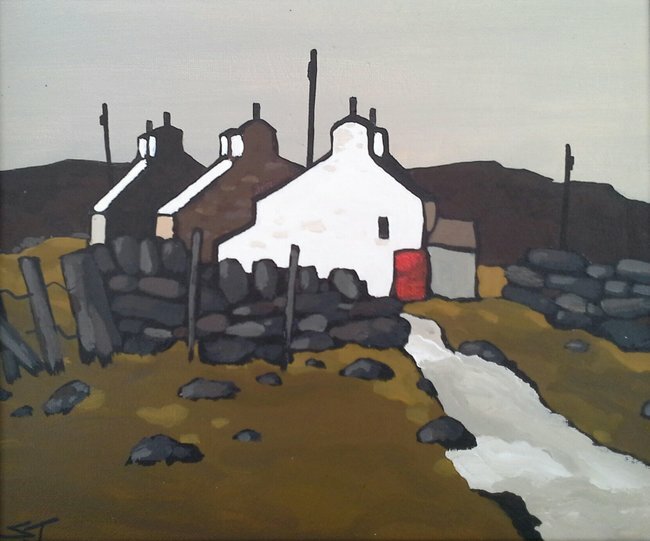 Stephen’s style stems from his Irish-Welsh heritage which shows through in his rustic and simple technique. 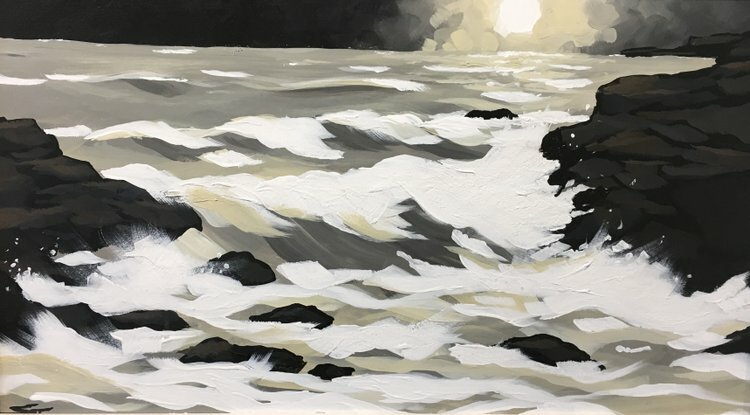 “My method of working in the studio is to begin with a little sketch on canvas or board, then I experiment with colour, tone and texture in order to express the moods and feelings woven into my paintings”. 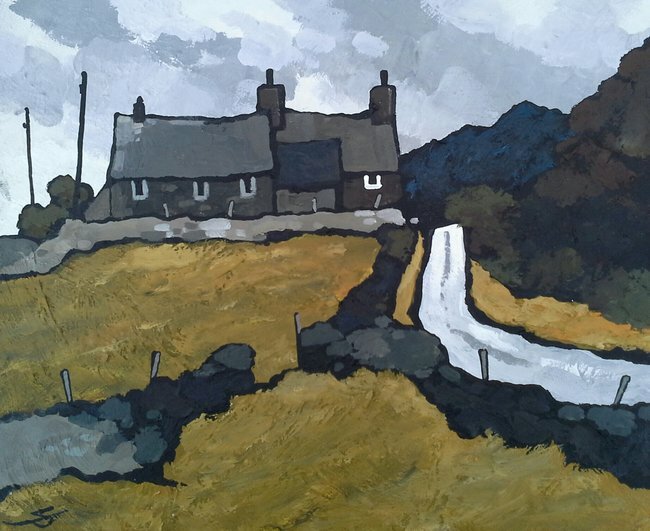 Stephen is now firmly established as one of Wales’ leading artists and has had sell out exhibitions all over Wales. His work can be found in private collections all over the world.